These are so very pretty. They are a vintage lucite bead that was made in Italy. 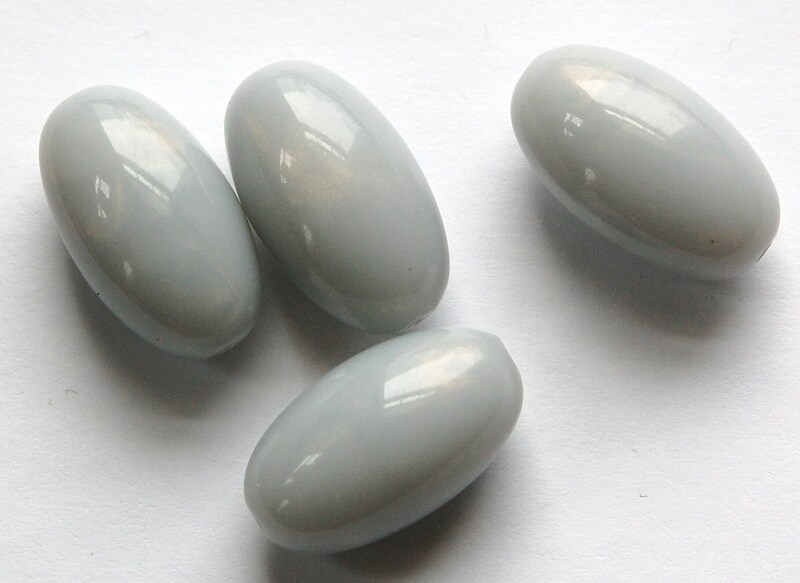 They are a gray blue in color and in the light has a subtle shimmer. 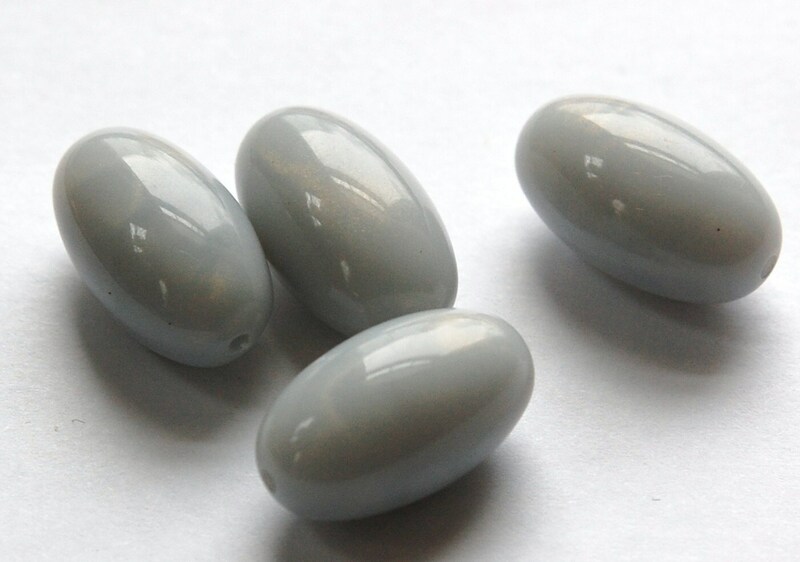 These measure 22mm long X 12mm. You will receive 4 of these. I love these beads. Thanks! Gorgeous beads. Extra super fast delivery. I am so pleased I went back for more. Thank you.